Assigning students a TED-style talk | NspireD2: Learning Technology in Higher Ed. College faculty members are now assigning TED-style talks as student projects. Many folks understand that these are more than “really good presentations,” but not everyone knows the details. This article explains what makes a TED Talk special and provides advice on developing an assignment. The fast-paced video above gives one interpretation of what makes a good TED Talk. You should also watch several of the most-viewed talks and read What I Learned Watching 150 Hours of TED Talks (Harvard Business Review) by Carmine Gallo, author of Talk Like TED. A lot of the best TED Talks have no slides at all! A single word or line of text can have more impact than a paragraph. Text-heavy slides distract listeners from processing what a speaker is saying. In general, choose images over text. Slides should be easy to understand. Cut any slide that does not have a clear purpose. That all sounds a lot like Presentation Zen to me – and the book’s author offers his own advice in Making presentations in the TED style. Carmine Gallo’s article in Forbes has additional tips. Now that you have an idea of what makes a good TED Talk, let’s consider how to develop the assignment. Learning goals: You will have content-related goals, of course. Consider, too, what you want students to learn from preparing a TED-style talk. Why did you choose not to assign a traditional presentation? Evaluation: Develop a rubric to help you determine how well students completed the assignment. Providing the rubric to students at the beginning will help make expectations clear. To get you started, here’s one from Penn State, and a generic example from ReadWriteThink. And here is A grid for evaluating student media. Milestones: When students will be working over several weeks, consider requiring one or more check-ins along the way — maybe a description, an elevator pitch, an outline, or a script. First step: Before starting, ask students to view exemplary TED Talks and then critique one in class. First-year students may enjoy 15 Inspiring TED Talks Every Freshman Must Watch. Time Length: The classic presentation has a strict 18-minute limit, but regional conferences often use shorter talks. I suggest six minutes, but choose a length that works for you. Slides – I would not require use of a computer. A talk should evoke strong mental images, so the rubric might include an “Imagery” category that allows for word pictures or actual visuals. Similarly, I would not prescribe 20 slides at 15 seconds each (like Ignite). Presentation: I recommend having students present in front of a class, rather than submitting a recorded video. You may even want students to invite their friends to a public event in an auditorium. Recording: Where feasible, make arrangements to record the presentations. This can make grading easier and you’ll have examples to show the next time around. YouTube: You may want to post some talks online. Students should be motivated by the thought that other people will be able to see their work on YouTube. Have them provide written permission; TED has a speaker release form you could modify with help from legal counsel. Video titles: Calling a work you post online a “TED Talk” infringes on their trademark and implies a conference connection. Don’t include “TED” in a title; the description can say it follows the TED Talk model. That should be enough to get you going. Good luck! Please use the comments to share links to your own rubrics, assignment descriptions, student work, and other resources. Great post! I’m looking at adding a TED-style talk to an online course that I teach. This information is exactly what I needed to read today. Thank you! This is great stuff, Chris. Creative and full of useful information. I gotta try this . . .
Assess blended learning with student media | NspireD2: Learning Technology in Higher Ed. 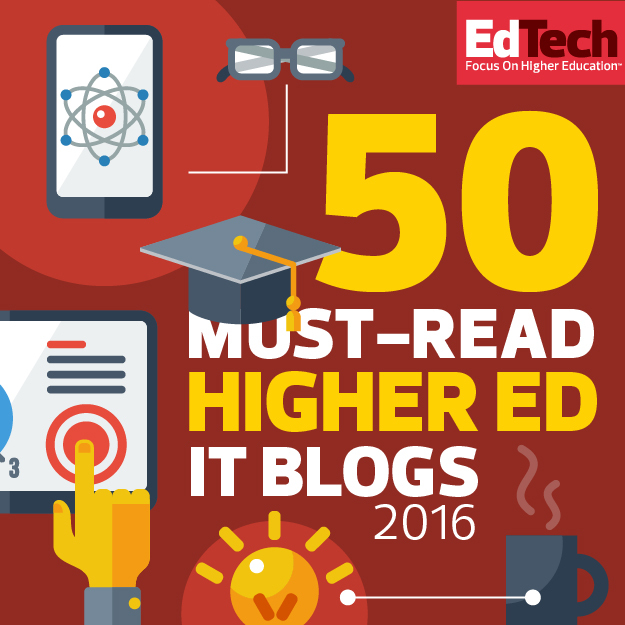 New semester to-do list | NspireD2: Learning Technology in Higher Ed.